The parking lot behind the sign will give way to a two-story addition. 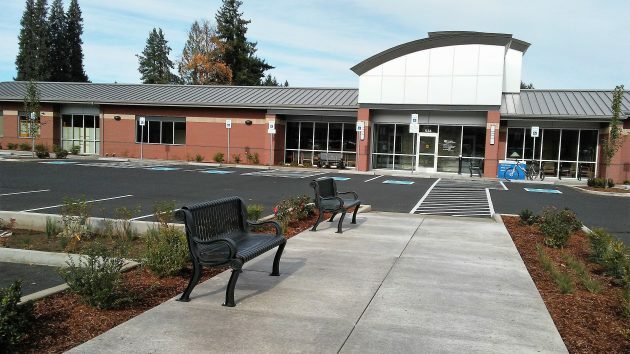 It looks like the expansion of Samaritan Health Services in Albany will continue in 2017. The city’s community development department has approved a site plan that calls for a big addition to Albany General Hospital’s clinic at 1700 Geary St. S.E. The city approved Samaritan’s site plan for the Geary Street expansion in November. Since finding the plan on New Year’s, I haven’t been able to reach anyone at Albany General Hospital, the applicant, for details on the project’s timing. The city’s approval is good for three years. The plan calls for the construction of a two-story addition containing 22,000 square feet. It is to be built on what is now the main parking lot at the corner of Geary and Queen Avenue, resulting in the loss of 58 parking spaces and the removal of nine trees there. 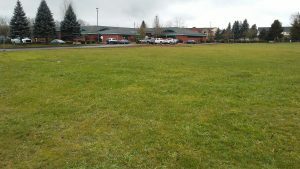 Making up for that and then some, the plan also calls for the addition of 163 new parking spaces and landscaping on what now is a grassy field east of the clinic’s driveway. The project will be done in three phases, according to the approved plan. The new parking spaces will be built first to allow for the removal of the existing lot. Once that is done, construction of the addition will follow as phase 2. Then, in phase 3, the present structure is to be modified to allow for the addition of a drive-up window at the clinic’s pharmacy. Order Viagra online http://howmed.net/viagra-sildenafil-canadian/ for strong erection. The new parking lot will go here. This project on Geary Street follows on the heels of Samaritan’s expansion of its health-care facilities in North Albany during 2016. 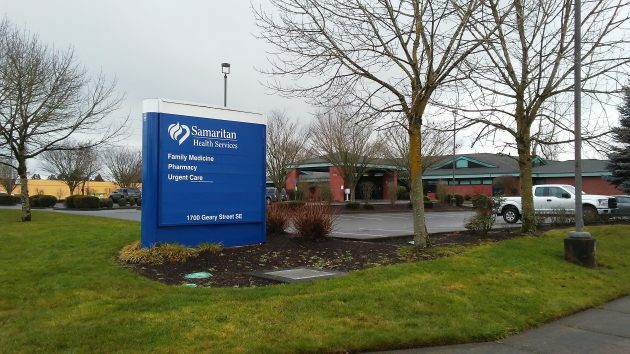 There, off Hickory Street, Samaritan opened a new building housing its Heartspring wellness center, sleep center and neuropsychology department, along with the sleep medicine department of the Corvallis Clinic. At the same site, the ground has been prepared for yet another medical building. Samaritan’s new installation in North Albany, off Hickory Street.